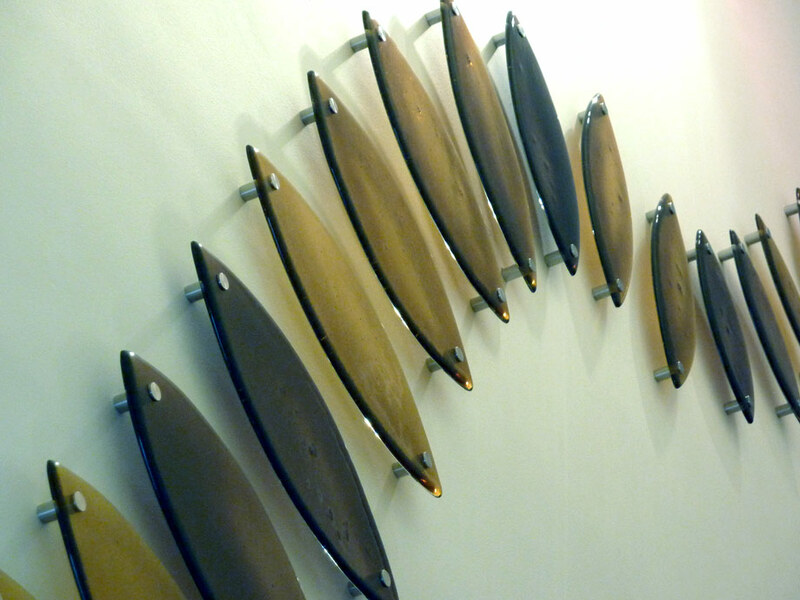 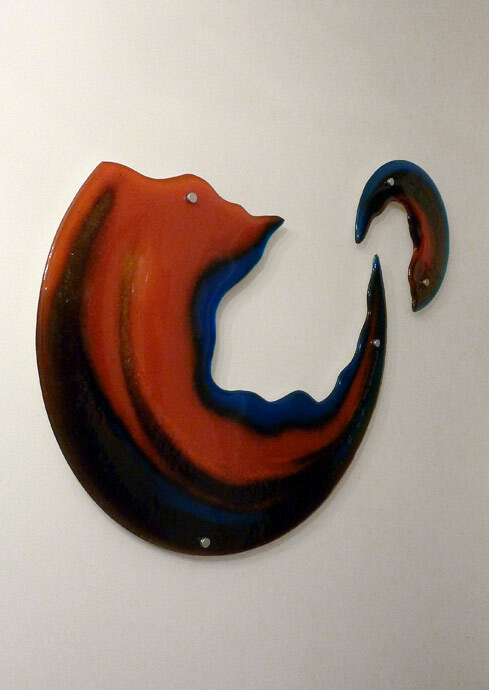 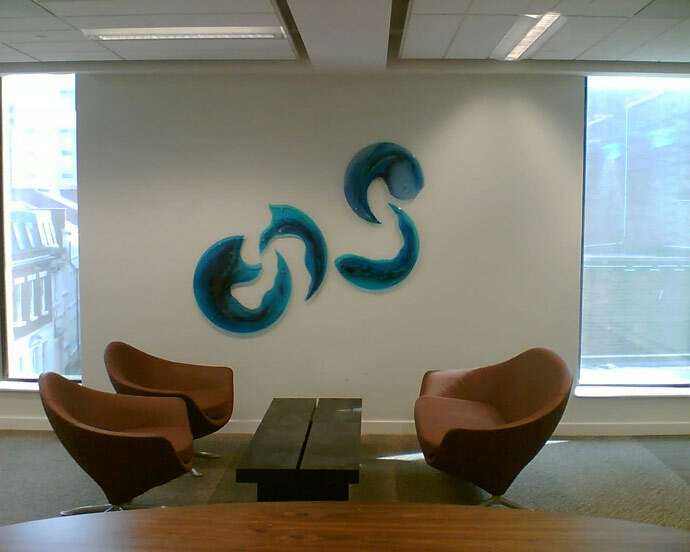 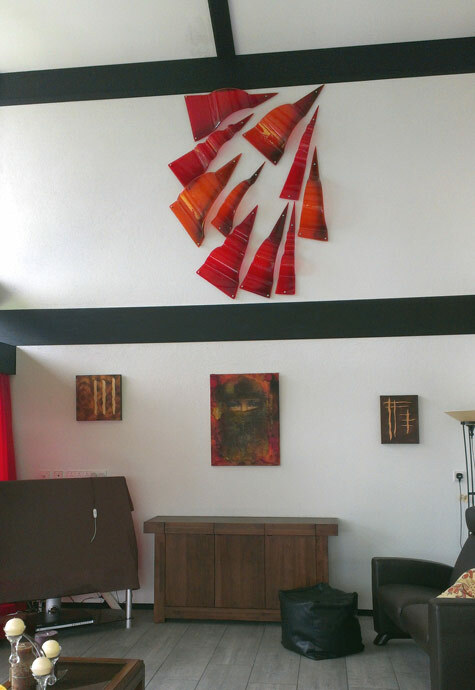 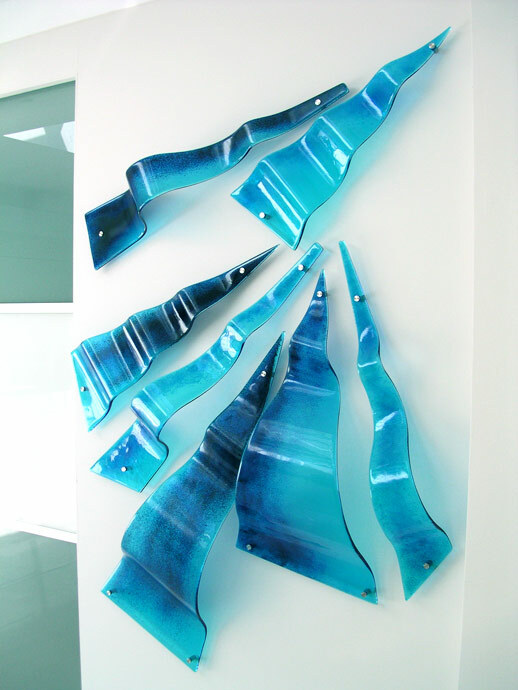 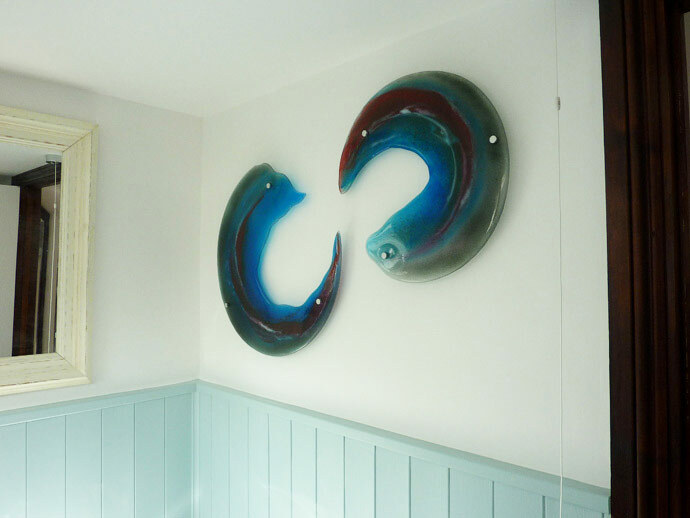 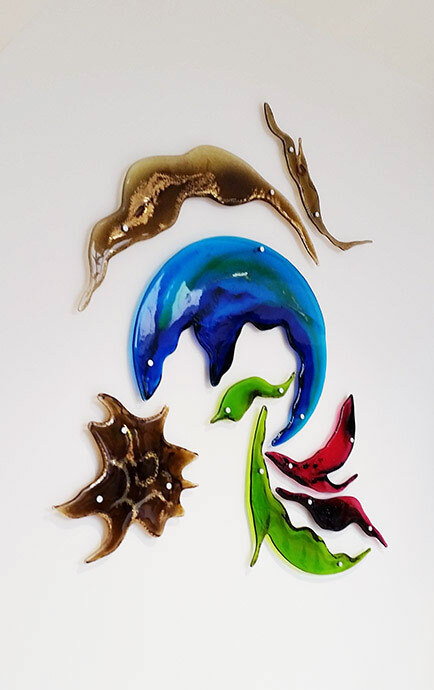 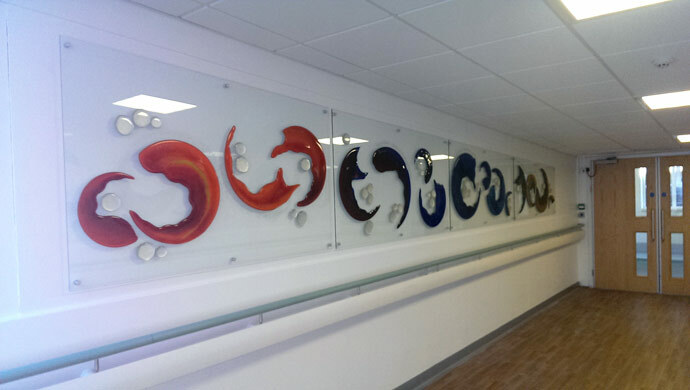 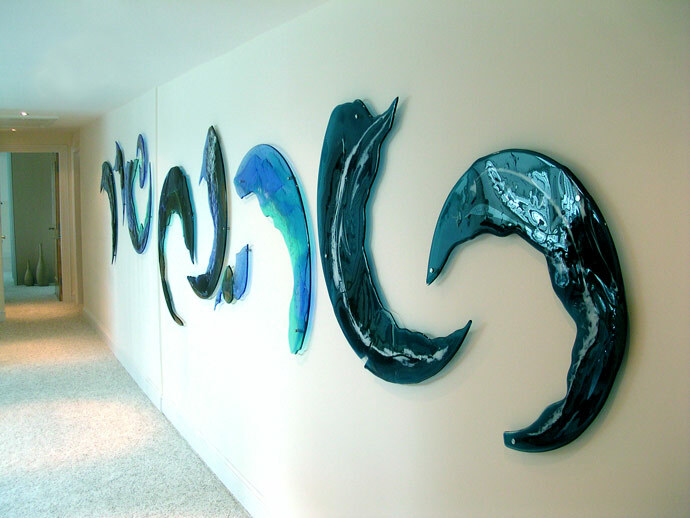 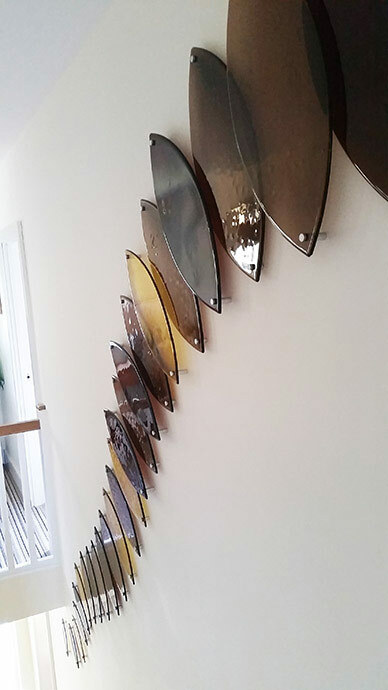 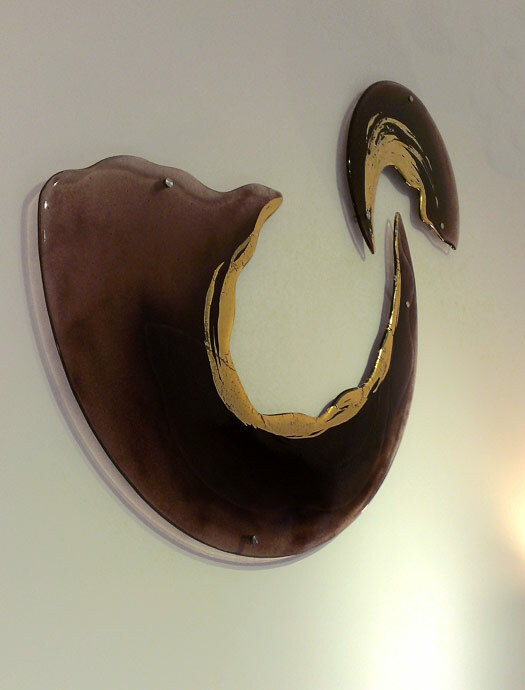 Our glass art wall sculptures are unique in every respect. 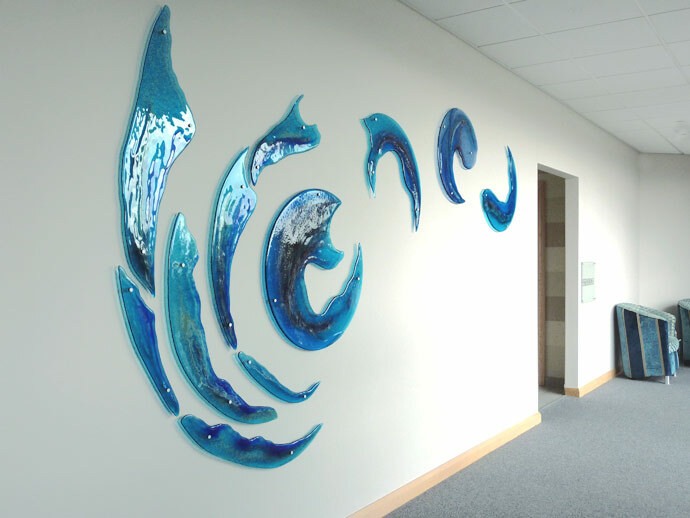 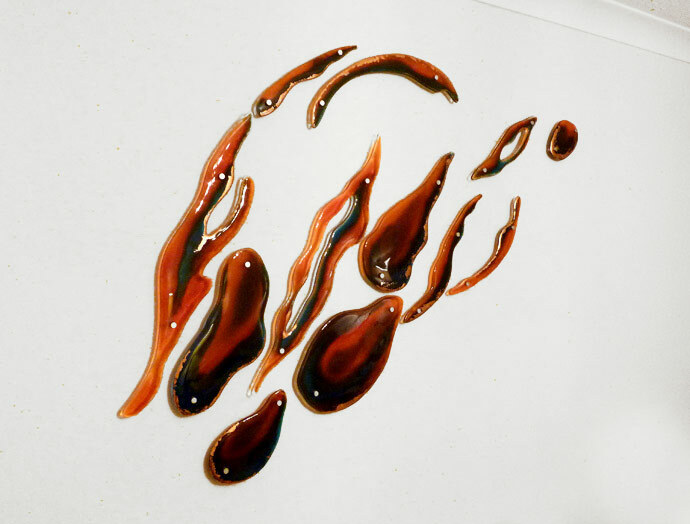 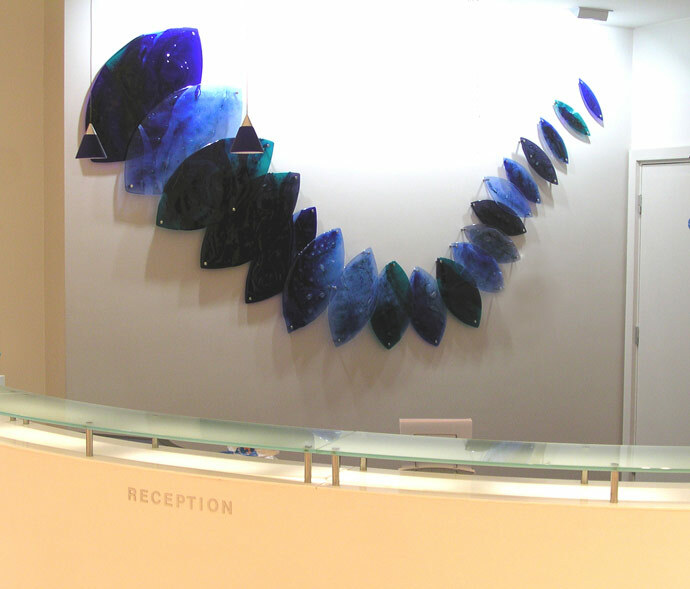 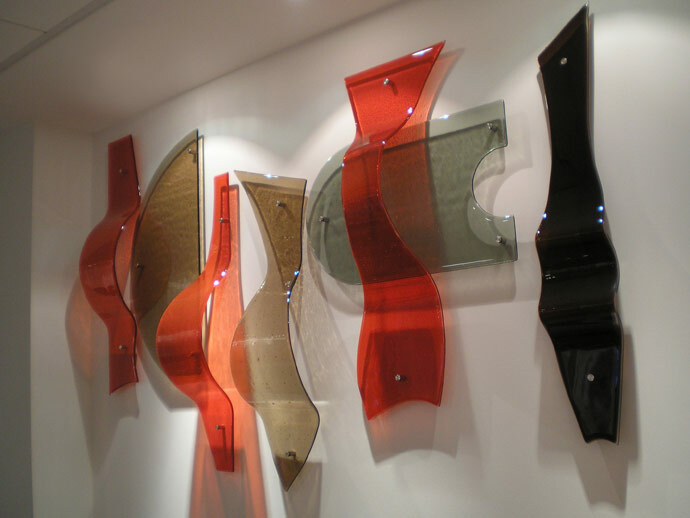 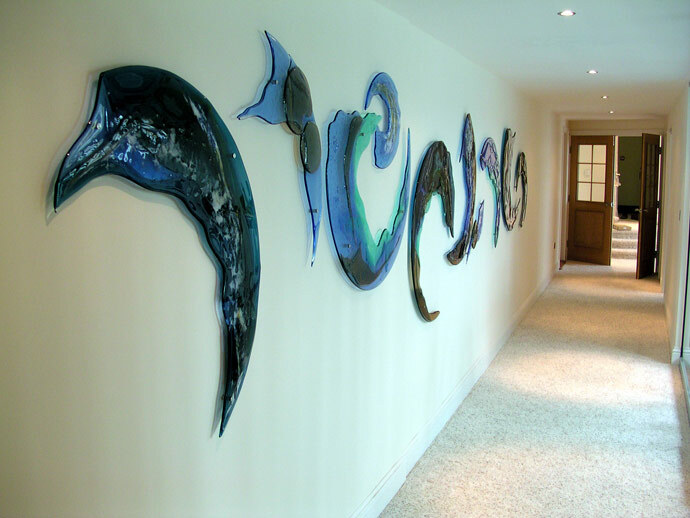 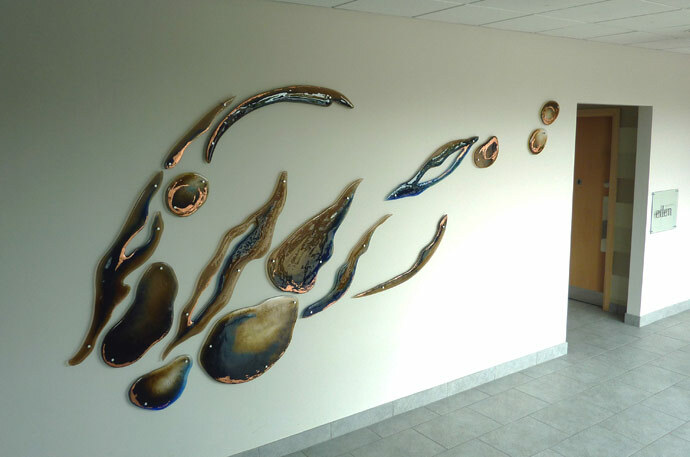 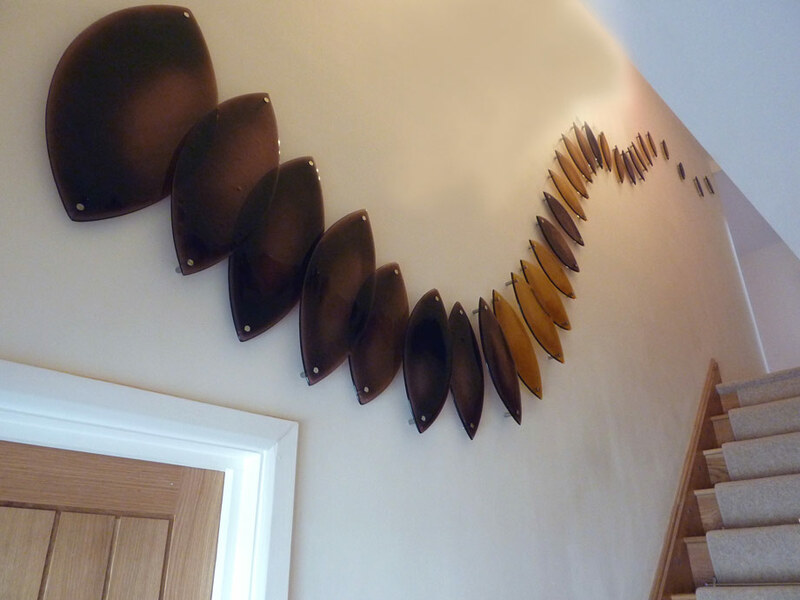 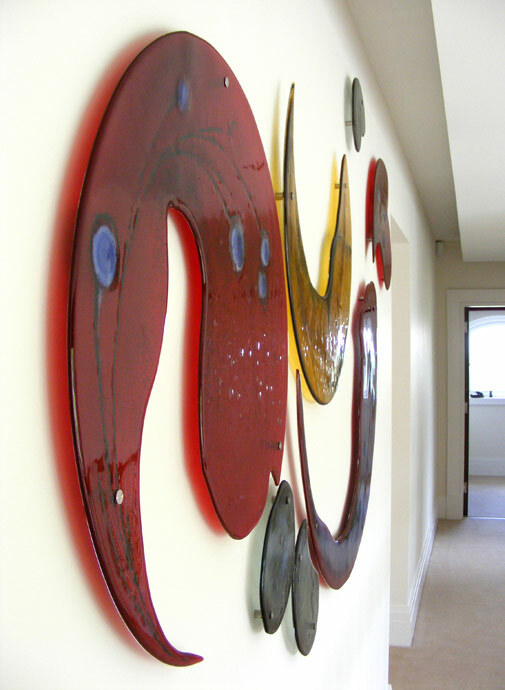 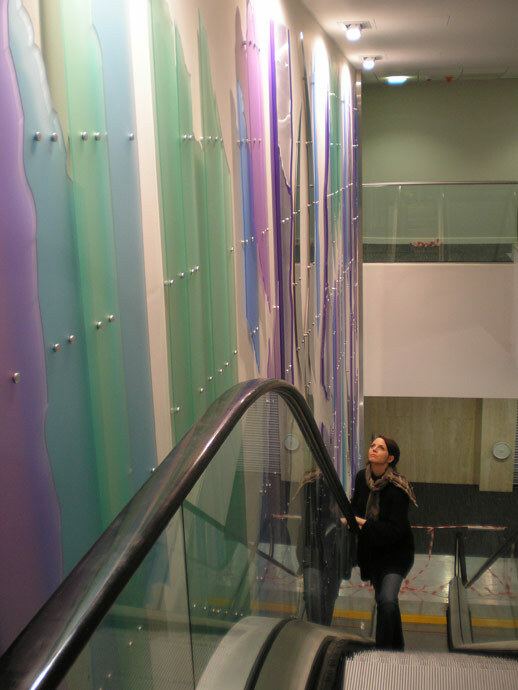 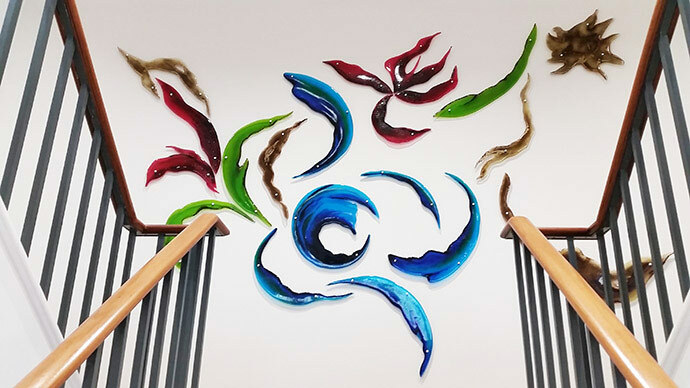 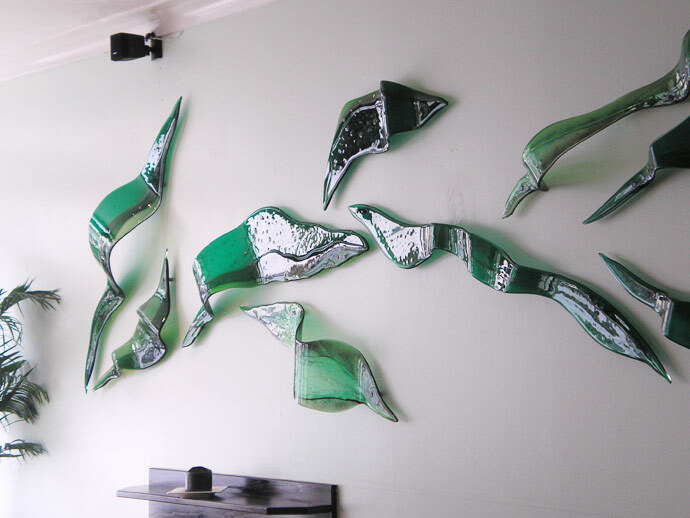 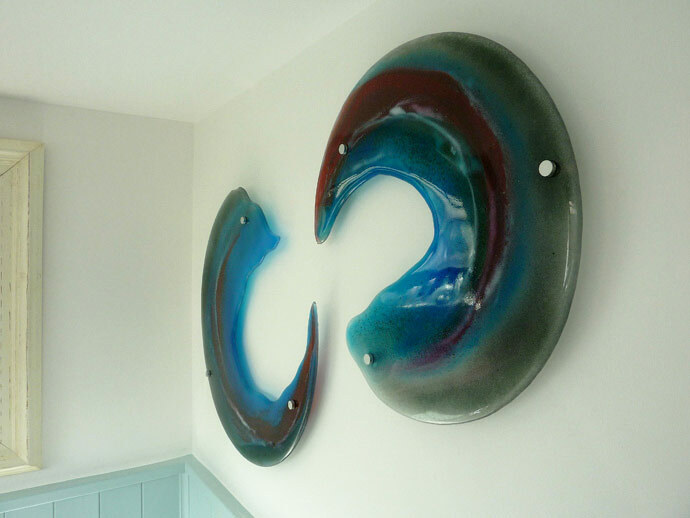 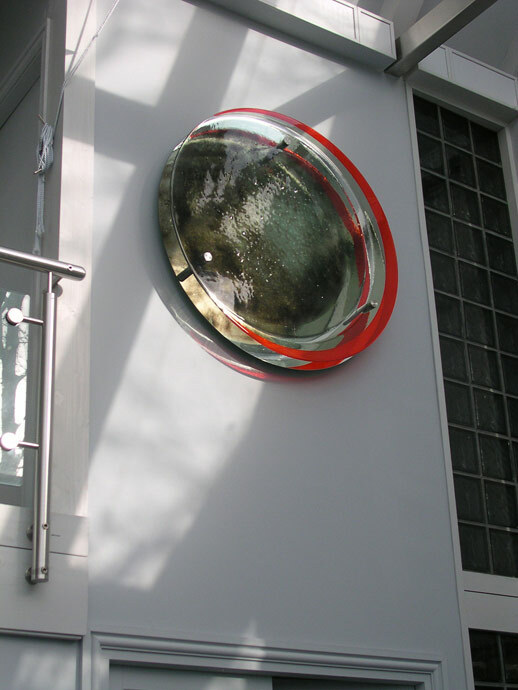 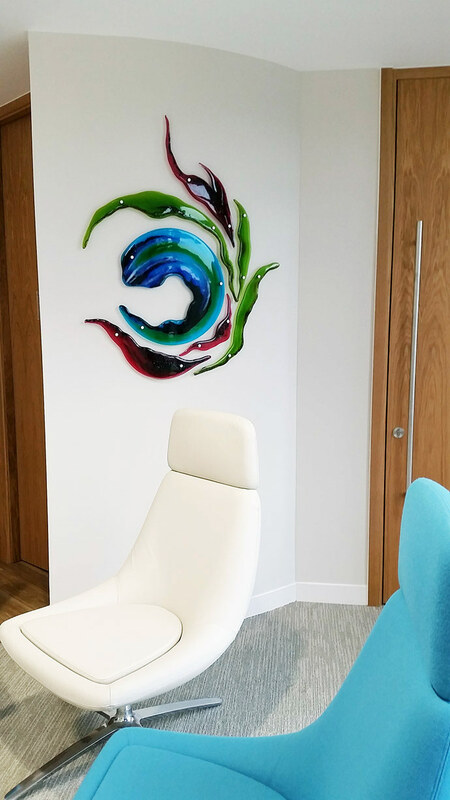 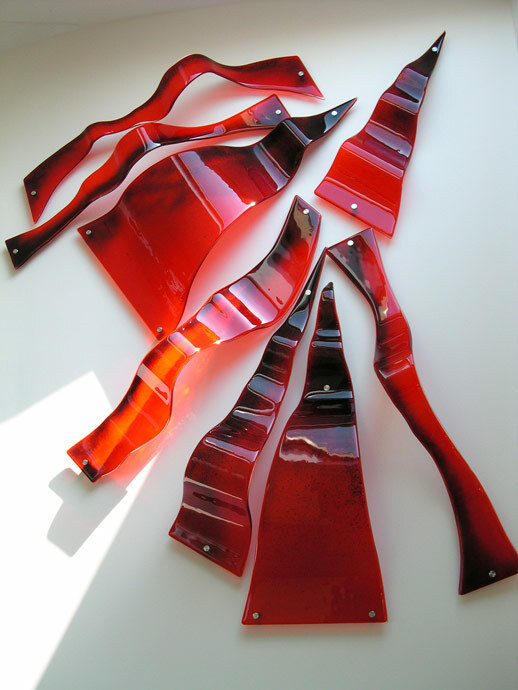 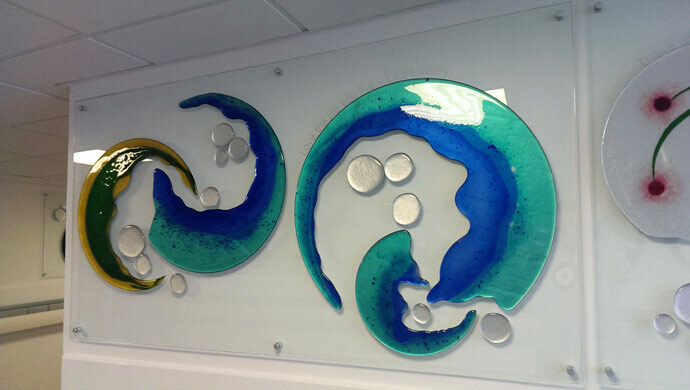 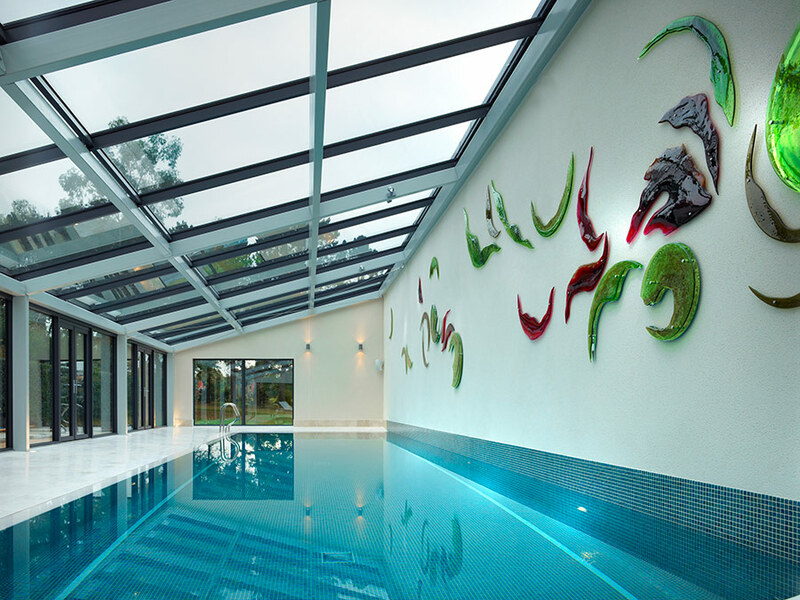 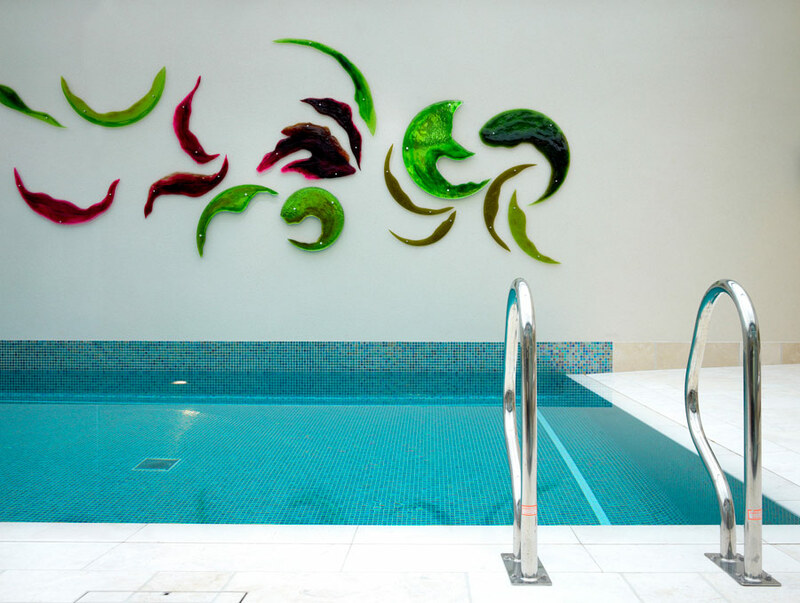 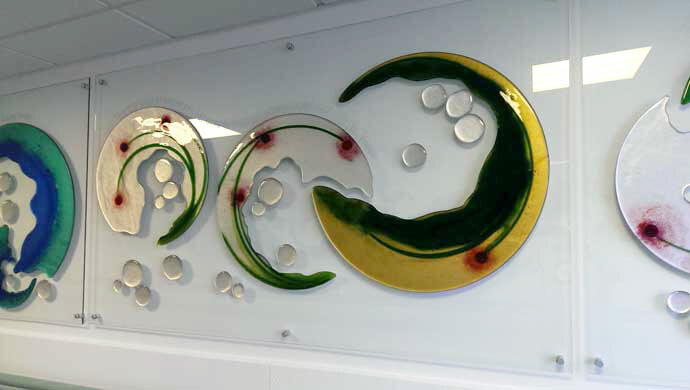 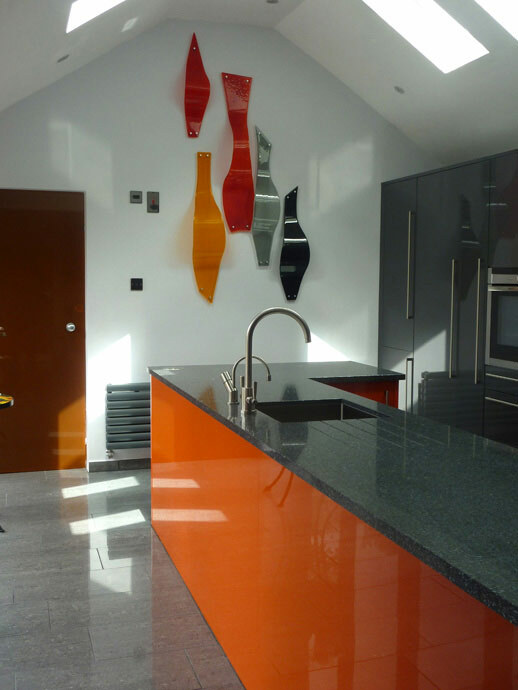 By combining multiple components of kiln-formed glass, we can create stunning works of art on any scale, whether it be a 25 metre indoor swimming pool or a small 3-component feature within a small bedroom. 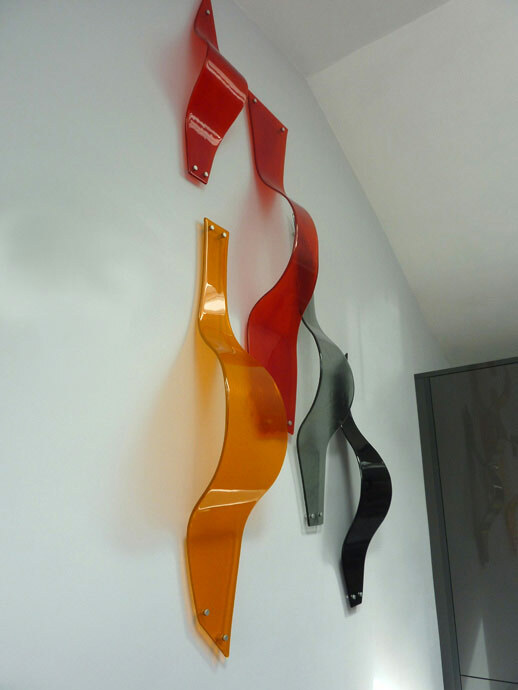 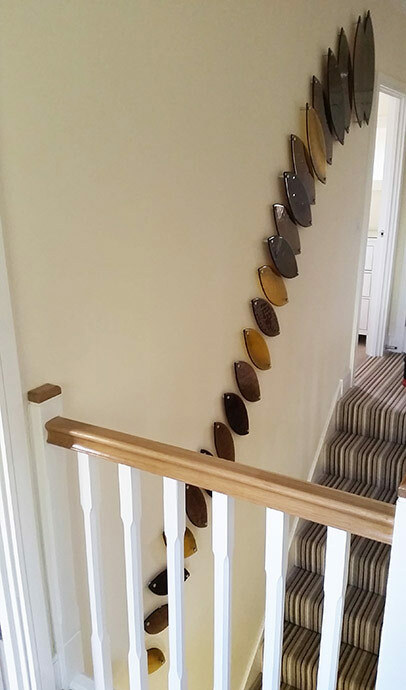 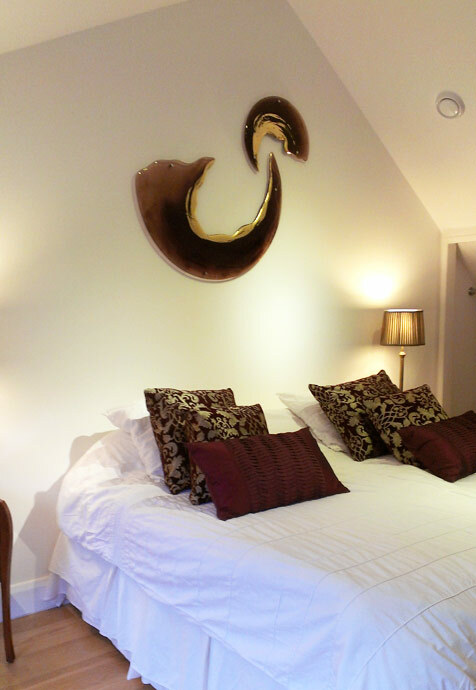 Any of the designs below we can alter to suit your space by changing colours, format and size. 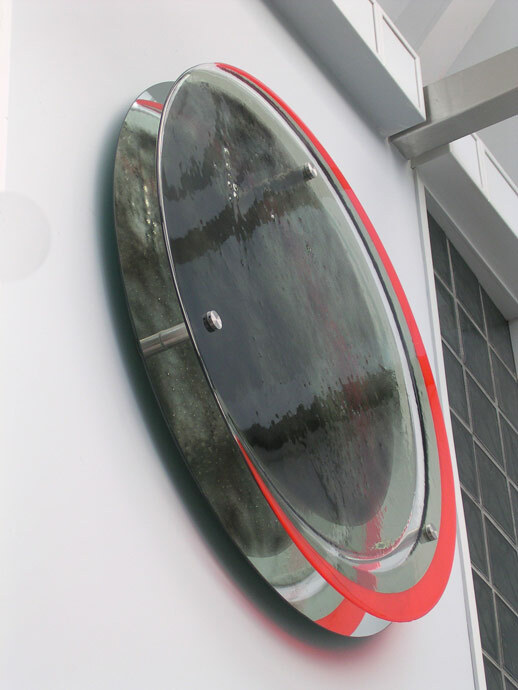 If you have an idea or a few questions, we'd love to hear from you. 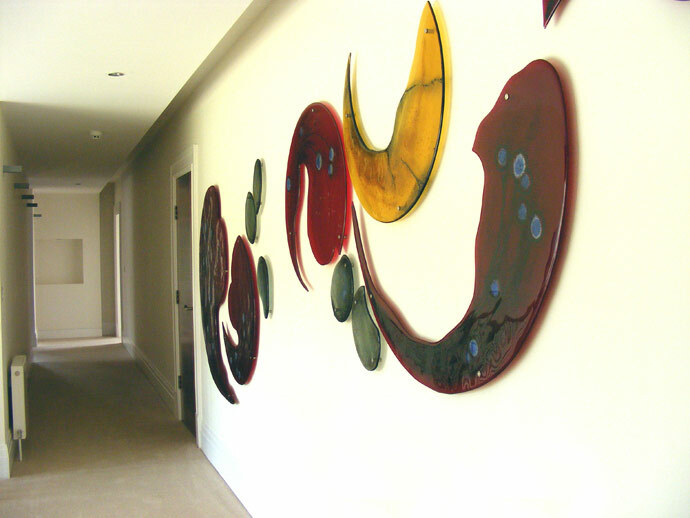 To send a message, please fill in the form opposite or alternatively just call us at the studio.